Using coconut oil on your skin can be the difference between flaky, dry skin, and soft, glowing skin, as this oil is known for its moisturizing benefits. Widely used in skin creams, soaps and lotions for its effectiveness in fighting dry skin, moisturizing coconut oil also helps to sooth various other types of skin conditions, including eczema and psoriasis. Coconut oil helps to strengthen skin tissue more deeply and eliminate dead skin cells while absorbing quickly into your skin. It has natural antiviral and antifungal properties, as well. It is an emollient that imparts a rich, silky luster to skin while it soothes. Due to its antioxidant properties, grape seed oil can delay skin aging by minimizing the damage caused by free radicals. Grape seed oil can provide protection against sun damage as well. It has astringent properties and therefore, can tighten the skin. 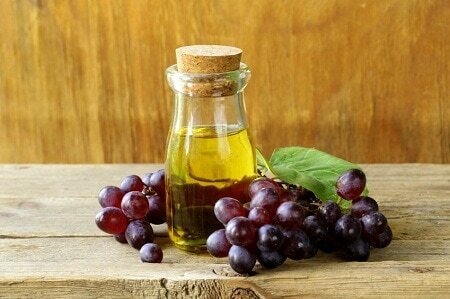 The linoleic acid found in grape seed oil can be very beneficial in skin conditions like, acne, dermatitis and eczema. Linoleic acid can soothe and nourish the skin, and help it to repair. Vitamin E on the other hand, keeps the skin firm and smooth. Grape seed oil is easily absorbed by the body, and it can be used for reducing age spots, sun burn, wrinkles and stretch marks as well. This is a great emollient for softening and conditioning the skin. 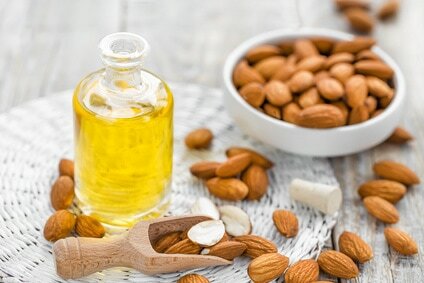 Almond oil is packed with antioxidants, high in vitamins E, A, D and B, contains protein, essential minerals and healthy fats as well. It is also rich in oleic and linoleic acids. Due to its high nutrient-contents, it is used not only for skin and face care, but also as a medicinal oil and for treating skin disorders, such as eczema, psoriasis, and itchy, dry and inflamed skin.. It is non-greasy with quick absorption rates that allow it to work very well on the face and even on sensitive skin. Shea butter aids in the skin’s natural collagen production and contains oleic, stearic, palmitic and linolenic acids that protect and nourish the skin to prevent drying. With long term use, many people report skin softening and strengthening as well as wrinkle reduction.Vitamin A in Shea Butter is important for improving a number of skins conditions, including blemishes, wrinkles, eczema, and dermatitis. 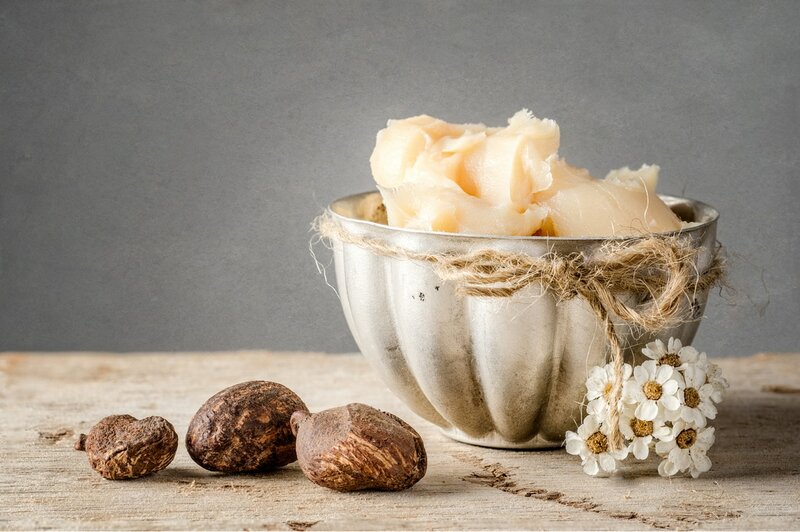 Additionally, Shea Butter has properties to treat skin allergies, insect bites, sunburns, frostbites, and a number of other conditions of the skin. 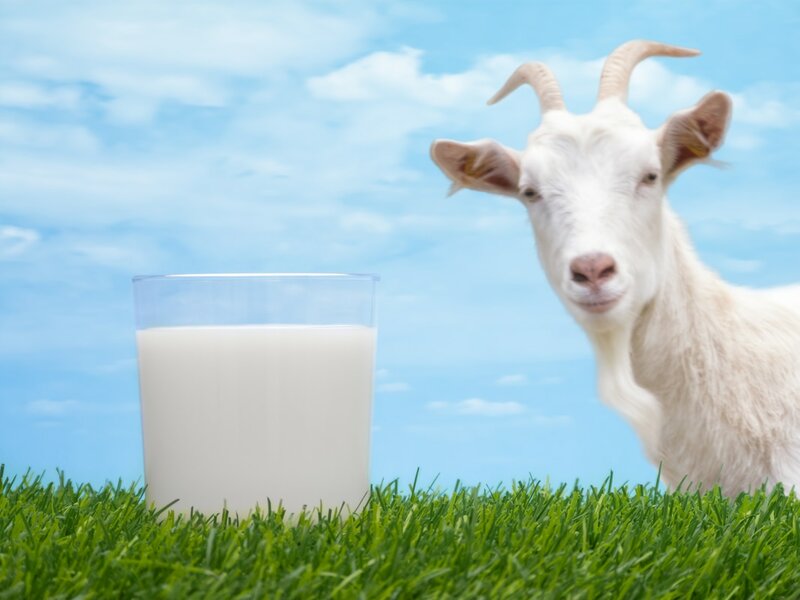 Goats milk is a good source of protein, contains less sugar (lactose), 13% more calcium, 25% more vitamin B6, 47% more vitamin A, and 134% more potassium than regular cow's milk. Vitamin A is extremely important in skin care and aids in curtailing acne and may also help with eczema. Alpha-hydroxy acids contained in goat milk are believed to have rejuvenating effects on skin cells and the rich butterfat softens and & moisturizes. Alpha-hydroxy acids penetrate the top layers of the skin, epidermis and upper dermis, to achieve exfoliation. Exfoliation stimulates the skin and healthy cells are regenerated. The effect essentially is "anti-aging." It is an excellent, organic all-around moisturizer and skin builder! Rich in Vitamin C, E and beta carotene which gives it its nourishing and anti-aging qualities. It can moisturize the skin without making it greasy, which makes it a great buy for those with oily skin.Aloe vera gel contains two hormones: Auxin and Gibberellins. These two hormones provide wound healing and anti-inflammatory properties that reduce skin inflammation. ... Additionally, in Ayurvedic medicine, Aloe is used to effectively heal chronic skin problems, such as psoriasis, acne and eczema. Organic, probiotic-based preservative created by the fermentation of Lactobacillus bacteria. Lactobacillus is one of the species of microorganisms used to produce fermented products such as sauerkraut and kimchi, a Korean dietary staple from cabbage. It also occurs naturally in milks. Like many members of the lactic acid bacteria family, Lactobacillus is capable of restricting the growth of other microorganisms. Lactobacillus provides broad spectrum antimicrobial protection against bacteria and mold in cosmetic products. This is our all-natural alternative to chemical preservatives. Certified for organic use in cosmetic products by Ecocert. 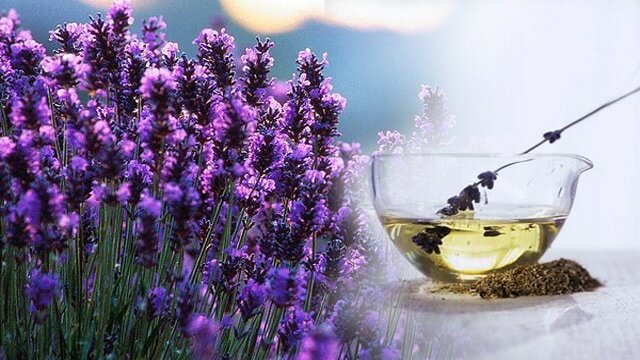 Lavender essential oil helps eliminate nervous tension, promote sound sleep, relieve pain, disinfect the scalp and skin, enhance blood circulation and treat respiratory problems. It is used to treat various skin disorders such as acne, wrinkles, psoriasis, and other inflammatory conditions. It is commonly used to speed up the healing process of wounds, cuts, burns, and sunburns because it improves the formation of scar tissues. Lavender oil is also the premier floral oil of choice for aromatherapy around the world today! The health benefits of Lime Essential Oil can be attributed to its properties as an antiseptic, antiviral, astringent, bactericidal, disinfectant, restorative and tonic substance. When used in small amounts in lotions, it has a revitalizing effect upon one's mood. 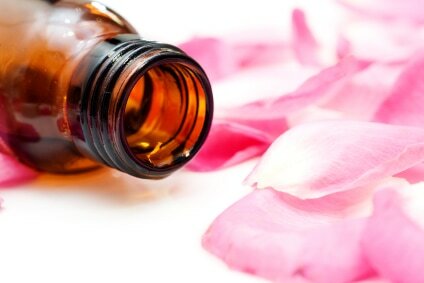 In aromatherapy, geranium oil is used to help treat acne, eczema, dermatitis, rashes, fungal infections, sore throats, anxiety, depression and insomnia. It is popular among women due to its rosy smell and its beneficial effect on menstruation and menopause. As a cicatrisant, it can make scars fade away slowly and restore the skin's flawlessness. This sweet-smelling oil can also uplift your mood, lessen fatigue and promote emotional wellness. Provides high a high concentration of Vitamin C to protect and heal skin. 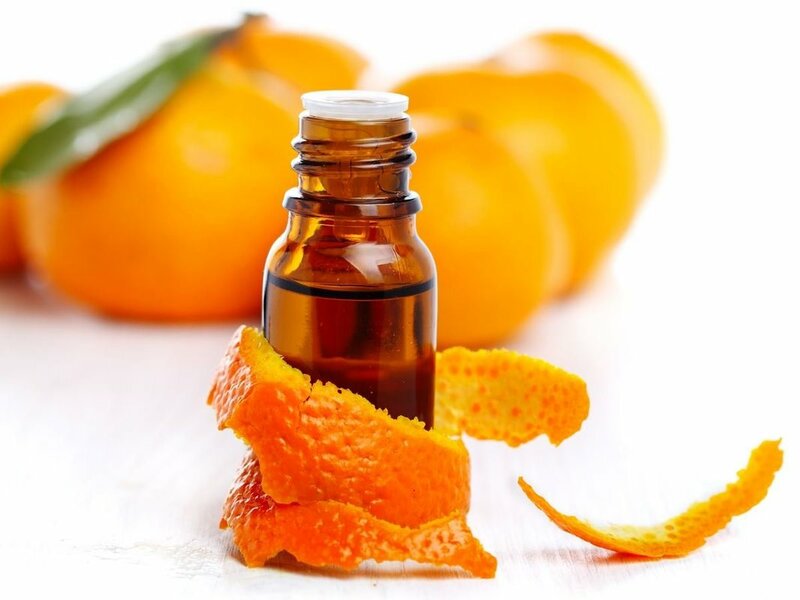 Orange Essential Oil promotes the production of collagen, making it very effective in delaying signs of aging such as wrinkles, sagging skin and dark spots. Additionally, Orange Essential Oil slows the rate of skin damage experienced from UV exposure, pollution, and toxicity!